For Thug, less almost always means more. 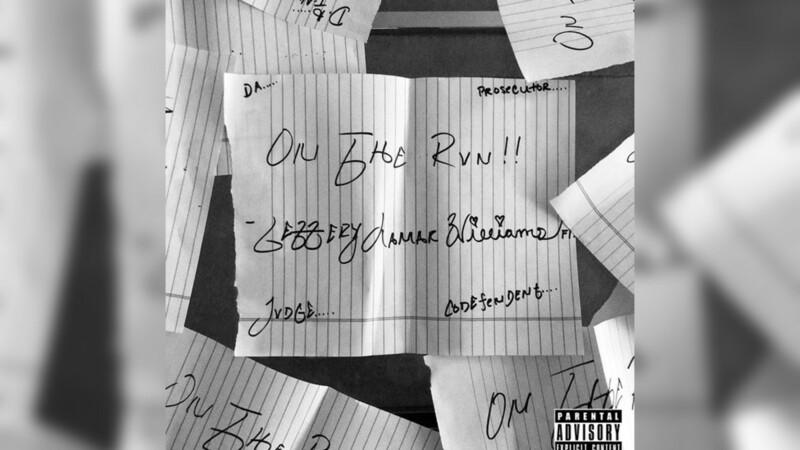 Young Thug is a walking surprise, so it comes as no big shocker that the Atlanta-born conundrum has released a new EP, titled On the Rvn. Hints of the project were first foreshadowed two weeks ago when he tweeted the name and stated, “Album in 2 days.” No album arrived, but the idea of new music was in the atmosphere. It wasn’t a matter of if, but when. On the Rvn is Thug’s second project in 37 days. 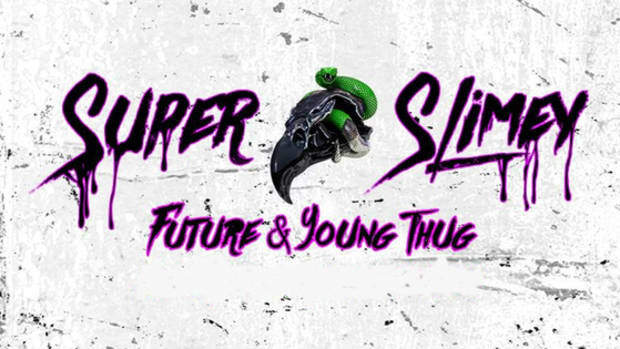 The first release, Slime Language, billed as a YSL compilation tape, finds Thug at the helm, flanked by various co-stars. The project is a solid collection of songs, but a noticeably different listening experience than his solo offerings. On the Rvn is six tracks, totaling just 21 minutes, with features from Jaden Smith, 6LACK, and Elton John as the guests. According to Thug&apos;s Twitter, Offset and T-Shyne will be added to "On the Run" and "Real in My Veins," respectively. It’s an interesting group for Thugger; new collaborators with such an enigmatic artist come with endless possibilities. On September 11, Young Thug turned himself into the Dekalb County police after a warrant was issued for his arrest. He is facing several felony charges, including illegal drug and firearm possession. Thug&apos;s circumstance is unfortunate but adds to the intrigue of On the Rvn. Even with his prolific output, there’s no certainty how many more projects he’ll release before fighting for his freedom. Every song matters a little bit more when its creator may be sent away. 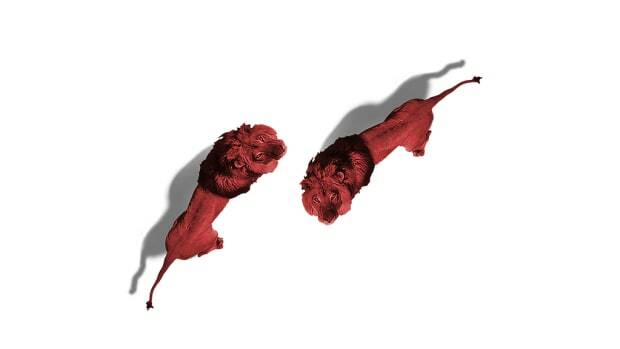 In usual 1-Listen album review fashion, the rules are the same: no skipping, no fast-forwarding, no rewinding, and no stopping. Each song will receive my gut reaction from start to finish. Thugger back. London drop. The drums are hitting harder than an unexpected haymaker. It’s like being punched by Lil Mac. London is underrated as a producer considering he has been at the forefront of trap for a while. One of Thug’s best producer combos. Slithering flow. The lyrics are perfectly wrapped around the knocking production. I love the melodic touch he’s able to seamlessly add to his verses. “I’m on the run from the cops.” Thug makes you feel like he could rap for a smooth 24 hours without stopping. He has an effortless, free-flowing nature to his style. The song is a bit long-winded for an intro. Offset’s verse will only make it longer. Hopefully, he adds an explosive dynamic. I love the siren sound London has been using. The key breakdown is nice. He stripped away the drums and just let Thug muse in a thinner atmosphere. It was a small, but noticeable change. I&apos;m liking these chords. Sounds like a guitar, I think. Thug is singing. He somehow makes it work. A sudden beat switch-up. Love the keys. They&apos;re soft and elegant. These drums aren’t very strong but they’re doing their job. Actually, he could’ve dropped the drums and this would still be a vibe. This flow would get sent home from school for being so sick. “Dropped out of school and pulled up in a Tesla.” That’s something to be proud of. Based on the first two songs I wonder about Thug’s process. He seems to come up with flows and melodies to bury into beats. He&apos;s able to just rap forever. This is a pretty strong record. On first listen not too many lines jumped out, but the performance held my interest. I love the background hum. Cudi really inspired a generation to give their most angelic hums. 6LACK and Thug! This is the collaboration I’ve dreamt about since “Thugger’s Interlude.” I love this buildup. Hums, beatboxing, and Thugger&apos;s sing-mumbling. The piano chords just came in. This is beautiful. Stripped down. London drop. These drums dropped and they are Harlem shaking harder than Lil Bow Wow in the music video for “Basketball.” Love the R&B trap vibe. It’s perfect for 6LACK&apos;s voice. He’s rhyming, sounding smooth as silk and as slick as oil. Damn, this would’ve been perfect on East Atlanta Love Letter. Also, with the album out, I need 6LACK to go feature crazy. He’s the only artist I wish would’ve appeared on Scorpion’s B-side. This duet-styled hook is a winner. Thugger’s singing is really an anomaly. He’s putting 110% of his passion into this verse. One of my favorite Thug songs this year. Both artists delivered. London adding a different producer tag to the end of these records will become a producer trick all 2019. I&apos;ve been looking forward to a collaboration between these two since J. Cole decided to take them on tour. I&apos;m still waiting on a Jeffery/Jermaine record. Another London beat. He gave Thug the gold pack. Oh yeah! This Thug voice is the one. Low and full of mischief. He sounds up to no good and that’s exactly the energy I want from him. I like his singing but I prefer the lower-tone, roguish Thug than the high-pitched alien. Jaden! He came in with a fire cadence. He sounds great. This is the feature that wins you fans. The sudden switch back to Thug was a smooth tag in. “Got way more girls than Hugh Hefner.” The bar about having the same name as the butler is one of the better Fresh Prince references. Yeah, Thugger isn’t phoning it in. Jaden’s back. “She made me write all my verses in cursive” is a hilarious image. Women will have you doing silly things. Buzz Lightyear reference. I see you, Thug. Calling “Sin” my favorite record thus far. 5. "Real in My Veins"
A beautiful piano buildup. I&apos;m loving the vibes. Drums are solid. Thug would be a completely different artist if you remove all the drums from his records. The music would hold up but he would no longer be considered a "trap artist." Pretty good tempo for Thug. The first verse is good. “Most these niggas change for change.” Simple but effective. SahBabii would be a fitting feature. “If you look up at the moon you’ll see my attitude.” I don’t know what this means but I felt it. “Tell the cops they will start chaos if they raid it” is a wild threat. Good song. I love this record. It’s by far one of my favorite songs of 2018. How Thug flipped “Rocket Man” is hip-hop magic. It’s an easy song to ruin. I have to look up and see how often producers have sampled Sir Elton. It’s such a beautiful reworking. I wish all rap/rock/pop flips were this outstanding. This record would’ve been a huge single if it was officially released. I’m happy Thug and 300 gave this a project to live on. The second verse is Thug in his bag. Not just his bag, but a gang of bags. He is equivalent to the baggage claim. Thugger saying “That&apos;s deep” after the fish bar is my favorite moment of 2018. “I’m living scary like a haunted house” gets me every time. I wish Drake would personally send this song to radio stations to get in the "every hour on the hour" rotation. On the Rvn isn’t a personal work. Thug&apos;s recent arrest provided him with an opportunity to be candid about the events, but that isn’t Thug. He brings to music a natural fluidity, able to float from thought to thought, bar to bar, and note to note without forcing them to connect. Thug creates with an impulse not bound by straightforward concepts. This approach works with a project like On the Rvn; the variety of his randomness gives each track its own quirks. For Thug, less almost always means more. 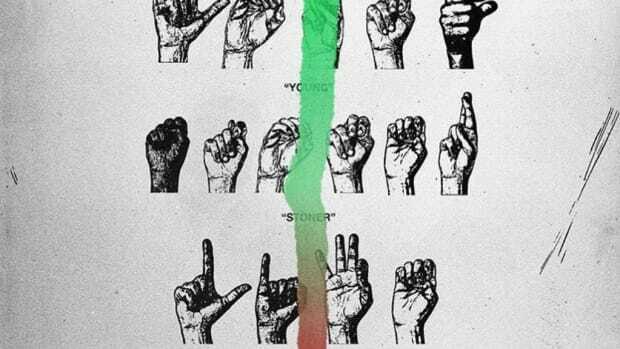 Collectively, these six songs are some of the stronger Thug records to come out in 2018. The production is also strong. I have to check the tracklist but based on producer tags, London handled most of the heavy lifting. Even as a fan of MetroThuggin, London has to be in the conversation (with Wheezy) as Thug’s strongest musical partner. I’d like to see Thug explore more sample-driven production, though. Among his most potent records, “High” stands out as the most outstanding. 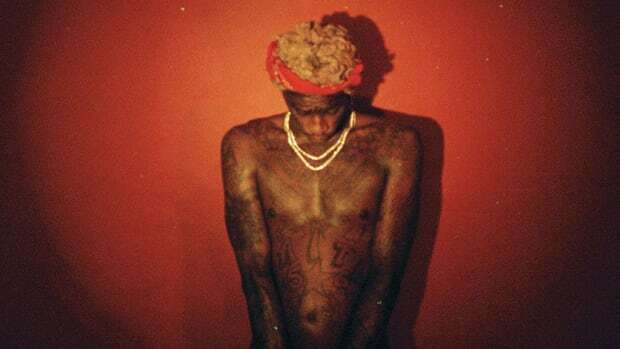 What makes the record work isn’t just the Elton John sample, but how well the production suits Thug&apos;s unorthodox style of rapping and singing. 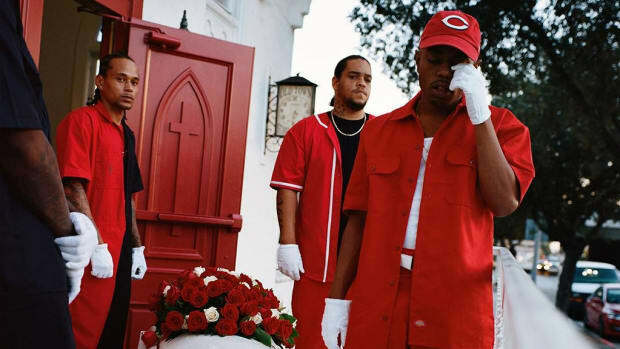 The duet-style chorus with Thug and the sample is magical enough to build a Disney World. Thug enjoys making music. Anyone who records the volume of music he does has to love the process. On the Rvn adds to his prolific, ever-growing discography. 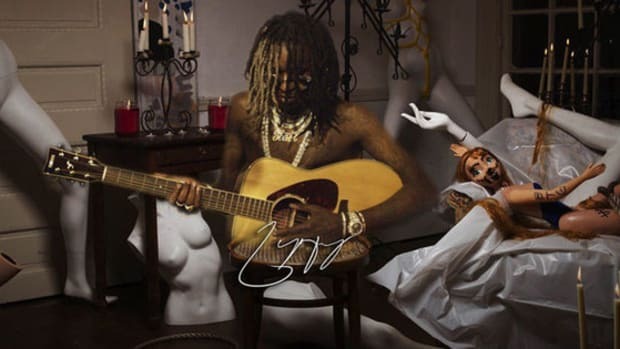 On first listen, On the Rvn is the most enjoyable release from Thug since his underrated 2017 album, BEAUTIFUL THUGGER GIRLS. 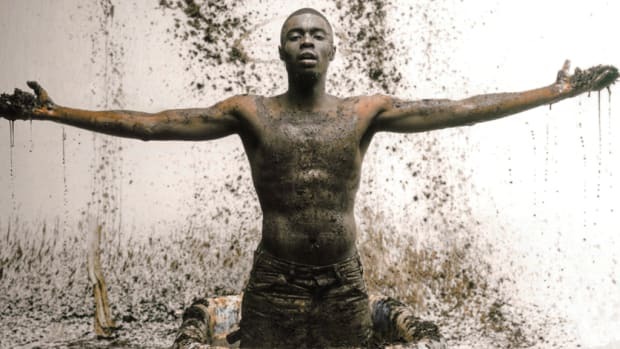 He’s not missing any steps, still reinventing the skill set that has made him one of hip-hop’s most intriguing artists. I&apos;d still like to hear Thug further reinvent his formula, or push it even further. He’s only scratching the surface of what he is capable of. On the Rvn serves as a friendly reminder. 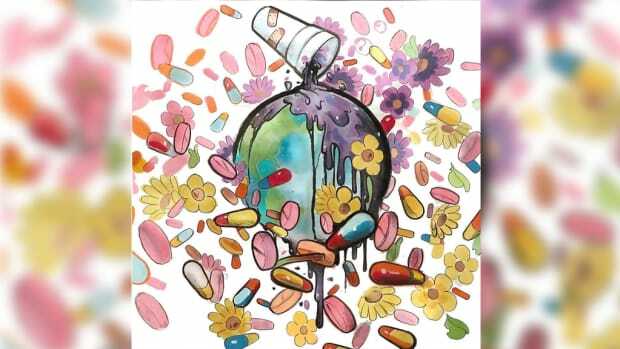 'WRLD ON DRUGS' provides a high, just not as high as the creators claim to be.